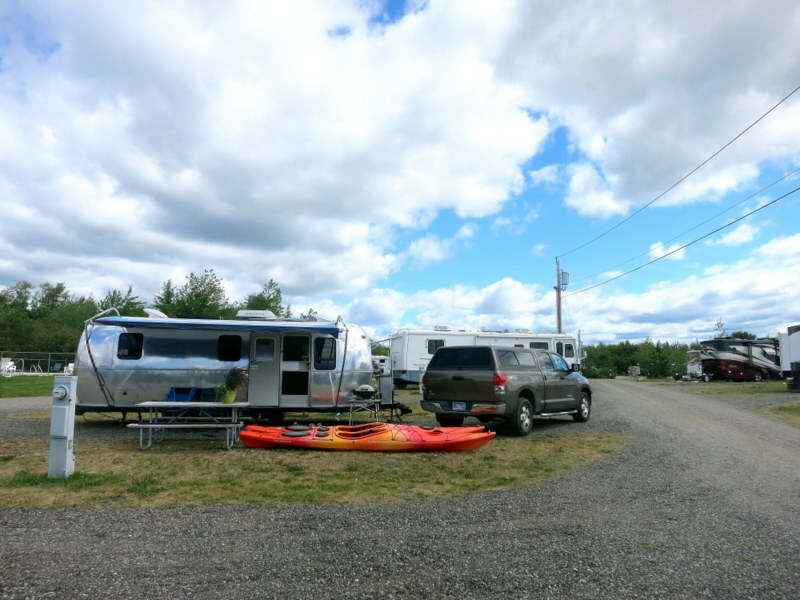 This week we’ve moved north to the Narrows Too Resort in Trenton, Maine on the outskirts of Mt. Desert Island. (Fun fact: despite the spelling, it’s pronounced like the sweet treat, not the vast land of sand and spiky plants. I believe it’s a French Canadian thing — as in, I love me some “de-ZERT”). Anyway, funny pronunciation aside, Mt. 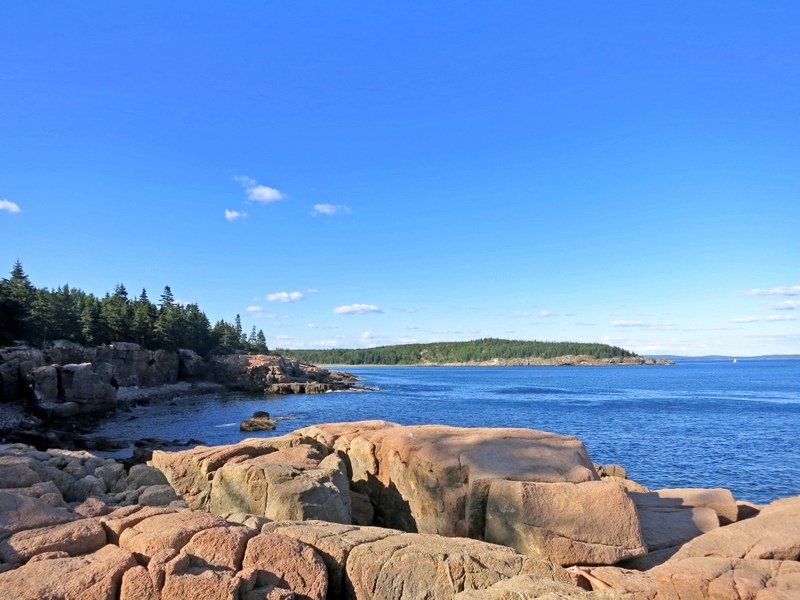 Desert Island, or MDI, is best known as the home of Acadia National Park. Our goal in visiting this area was to stay at close to the park as possible so we could spend lots of time hiking, biking, and paddling. We haven’t really been successful in either of those goals. 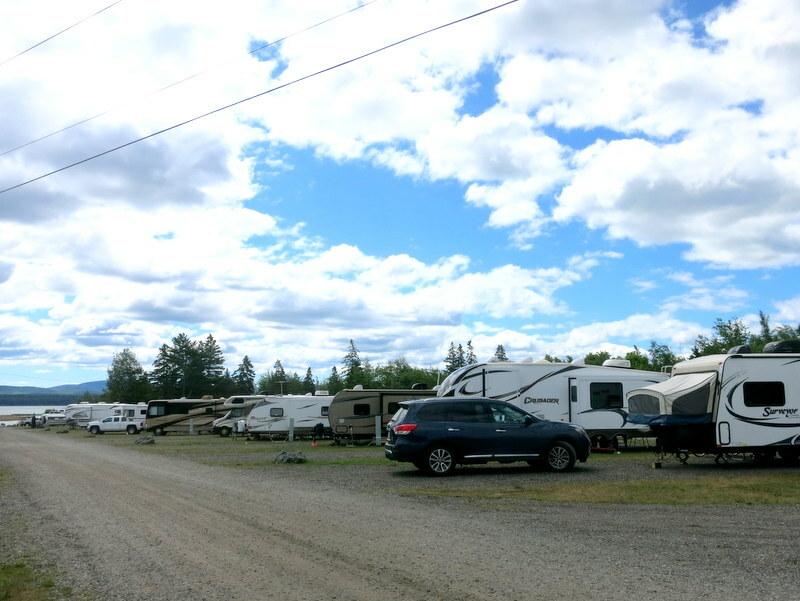 Due to some poor planning on our part we couldn’t get a site at any of the campgrounds closest to the park. You know how the Maine license plate declares it a “Vacationland”? That saying can roughly be translated into “a crazy short summer where all the tourists cram themselves in at one time.” In other words, plan ahead and reserve early! By the time I got around to making a reservation our only options were the KOA and the Narrows Too. 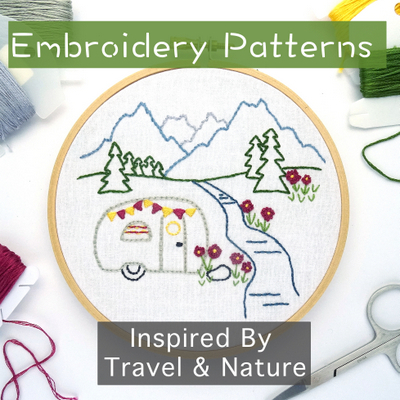 The latter had already been recommended to us by Jen & Deas who recently spent a month here. We also knew that our fellow RVign friends Robin & Jeremy would be here, and more RV friends Nancy & Betsy are here hosting for the summer. RV friends always seal the deal, so Narrows Too it was. 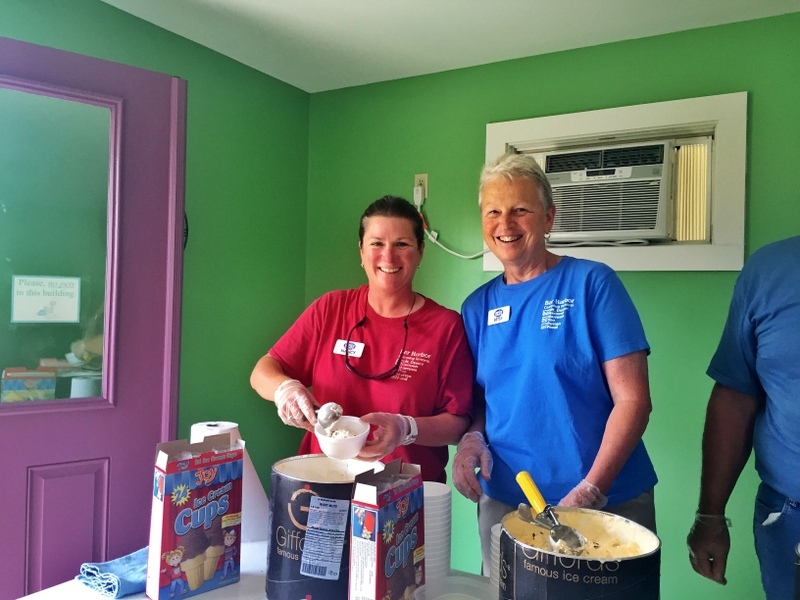 Nancy & Betsy serving us up some free ice cream on national ice cream day! It’s been fun hanging out with some familiar faces. Even though we had only met both couples once before, through the magic of social media we felt like we already new them pretty well, and it’s been fun spending time with them in person. 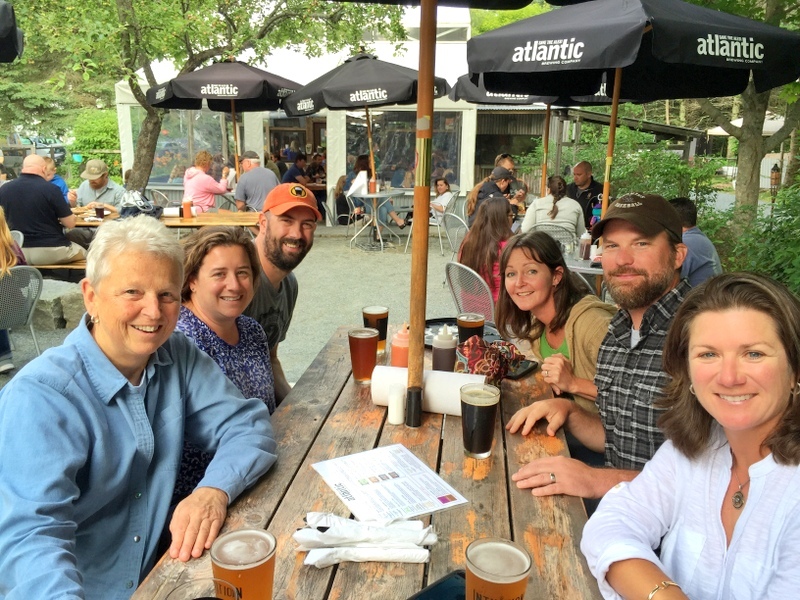 A few nights ago we all ventured out to the nearby Atlantic Brewing Co. We took the free tour and tasting and then sat on the outside patio for more beer, some tasty BBQ dinner, and good conversation all around. The campground also has a small rocky beach that’s an easy spot from which to launch our kayaks. One day we ventured out for a short paddle around the bay. So far we’ve only gotten down to the Acadia National Park once. Tim’s foot is slowly healing, but he’s still in no shape to do any kind of hiking or biking. In fact, he’s still not even able to walk long distances, which really puts a damper on exploring. Thankfully we’ve visited Acadia twice before and hiked quite a few of the trails. Of course, that doesn’t mean we didn’t want to hike them again. Maybe next week. For now we settled on a drive around the park loop road. Our first stop was Thunder Hole, where we hoped to witness the waves rolling into the inlet and making a thunderous noise. It wasn’t the right time of day for this phenomenon to occur, so we settled on a view of the rocky shore instead. 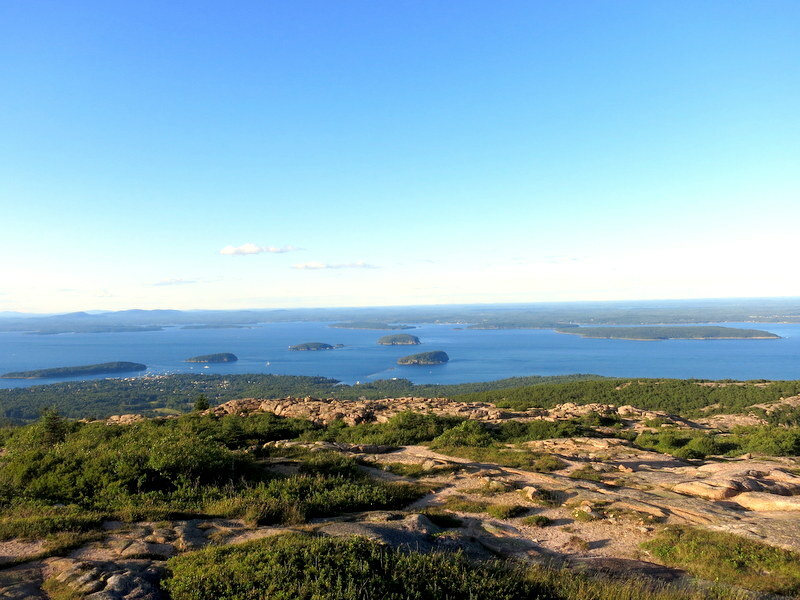 Next we drove up to the top of Cadillac Mountain to take in the view and have a picnic dinner. The view was nice, but it might not have been the best spot for dinner. The wind was whipping around the mountain top, causing our spinach salad to fly all over the place. We’ll be hanging around here for another week and half, and we hope to get in some more kayaking and maybe even a short bike ride. Heal well Tim. I didn’t catch what happened. See you in a week. Hopefully he’ll be all better by then. Looking forward to seeing you soon!!! Sometimes location and good people make any campsite a good one – and FHUs don’t hurt. Almost spit out my coffee on the flying spinach! Love the water pics, such a beautiful area. Hope gimpy heals up real fast. It is always a bummer when there are great hikes and biking in an area and an injury prevents you from doing them. Hope Tim heals soon and you are able to take to the trails. It really is a bummer. Thankfully we plan to be here for another week. Hopefully he can manage at least one hike before we leave. Looks like the perfect place to recuperate from an injury! Having friends around, lots of beautiful views and water. Great combination!! 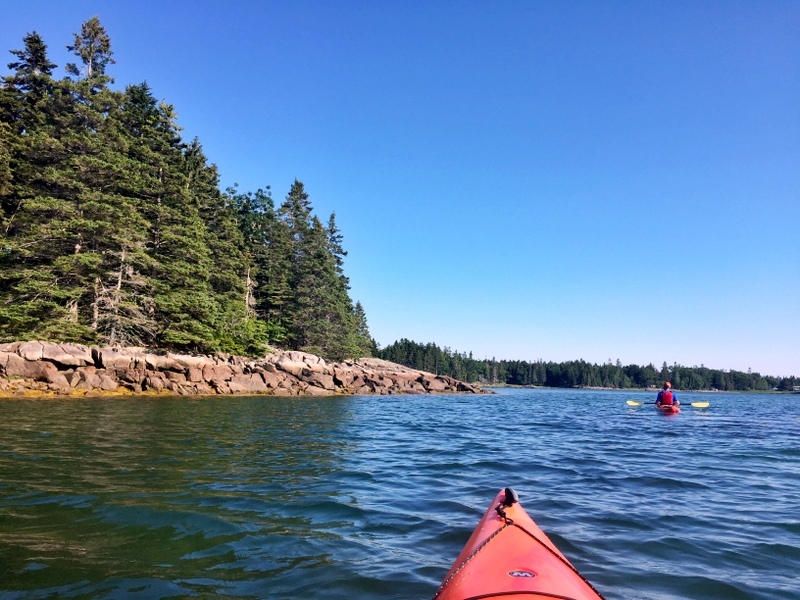 We were in Maine in June and also enjoyed spending lots of time at Acadia National Park. 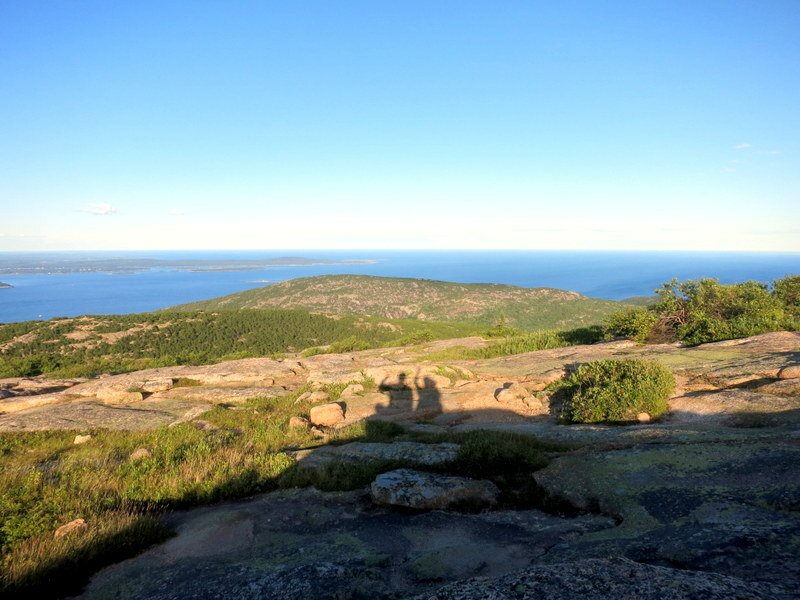 We were amazed to find that in the entire Bar Harbor area the campsites were almost vacant! One of the locals told us that since last winter was so severe, the schools were closed because of weather more than usual. Consequently, school remained in session longer than usual. Fewer kids out of school meant fewer families camping meant more available campsites. We’re going to return to the area next year, but we’ll have reservations despite our good luck this year. 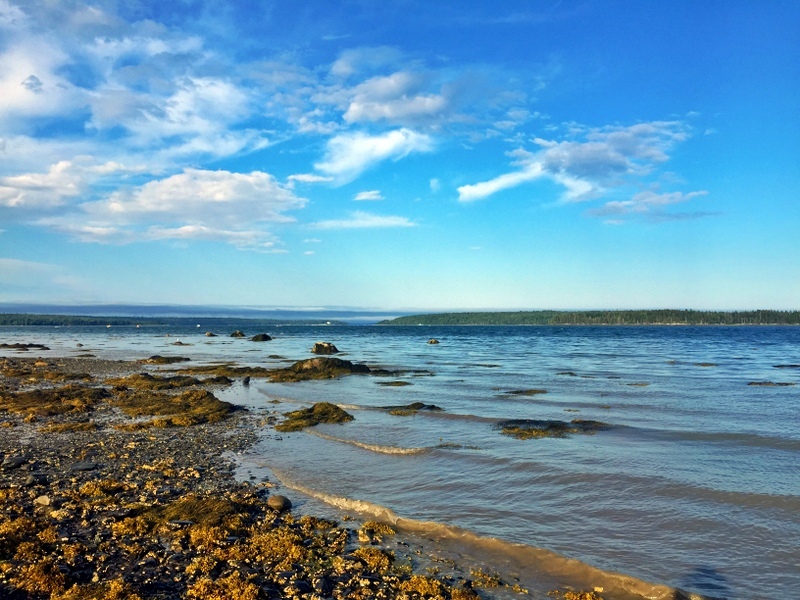 One of my favorite campgrounds is the Bar Harbor campground, not only is it the closest commercial campground to Acadia NP, but that also do not take reservations which means that you can almost always get a campsite. Check it out next time you are in town. I read about that one, but since they didn’t take reservations I was sure they would be full when we arrived during the busy season. We’ll be back in the area next summer and might check it out.